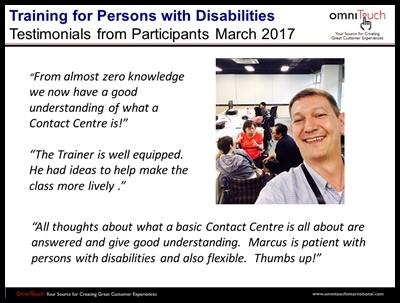 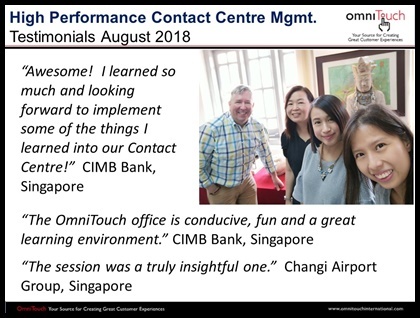 Clients & Participants have a lot to say about OmniTouch. 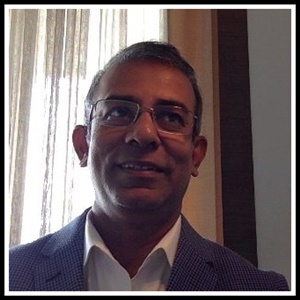 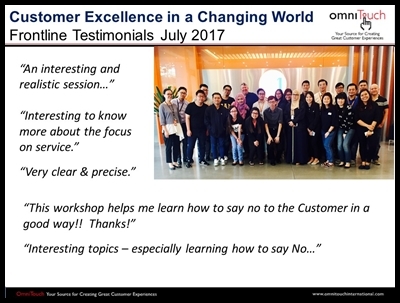 “It has been a great experience for my team to work with Daniel to bring on our vision for the new Customer Centric Initiative. 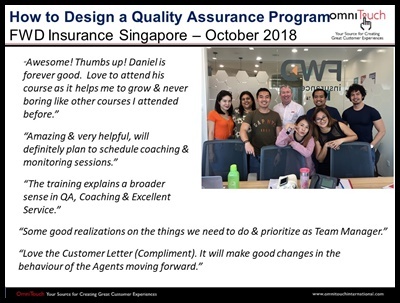 Though there are challenges to roll out to all staff at different levels and departments but results have shown that Daniel has conquered them all. 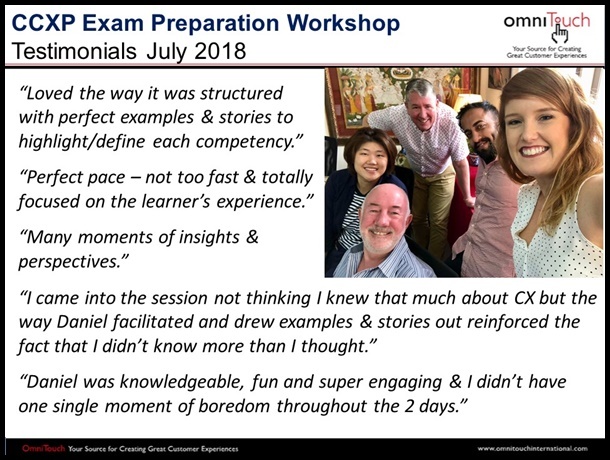 Prior to the workshops, we like to commend Daniel’s keen attention on our requirements and offering valuable advice on the curriculum planning and set up. 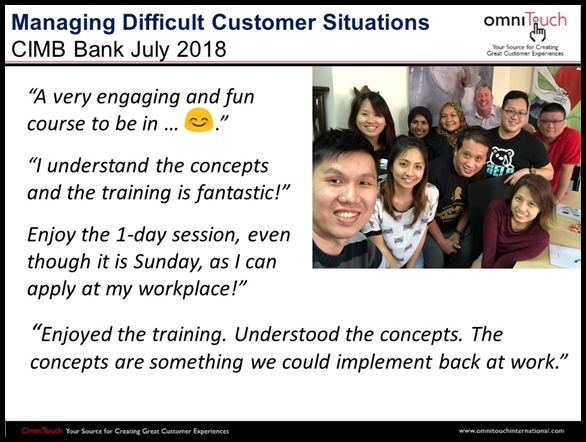 This was further challenged when we made last minute adjustments but he had accommodated them well despite the tight timeline. 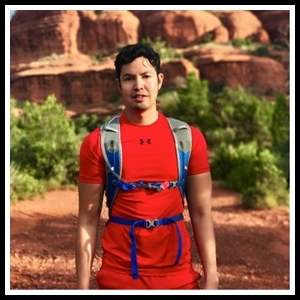 I highly recommend Daniel as a Trainer / Coach because it will be a pleasure working with such a dedicated individual who truly cares about his clients and his work. 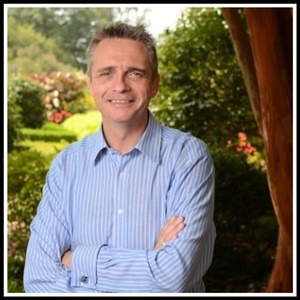 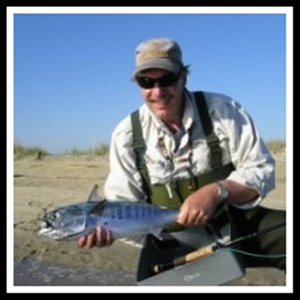 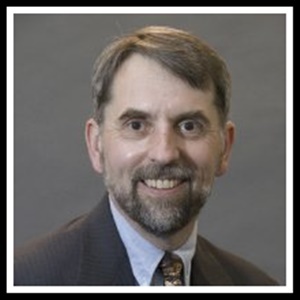 “Dan is a proven expert, a thought leader and champion of our industry. 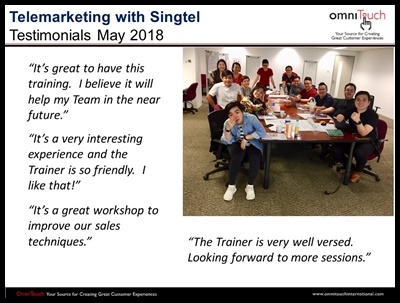 He trained me when I was still new to the industry. 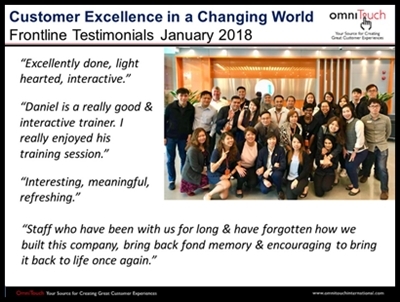 Years later, he would help to develop the key members of my regional and country office team. 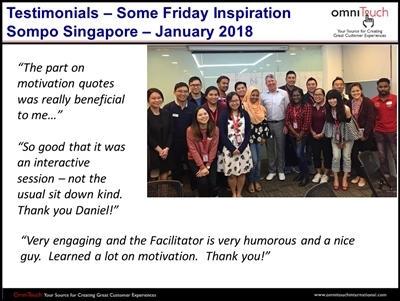 “I’ve known Daniel for four years and was first introduced to him via the Direct Mail Association of Singapore. 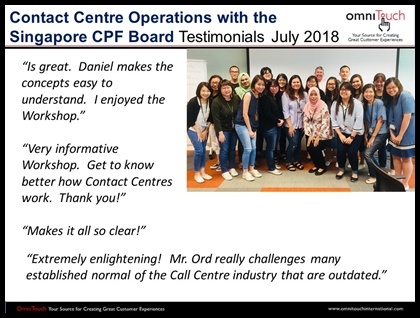 When we were then looking for support to assist with call center training for our team Daniel came to mind. 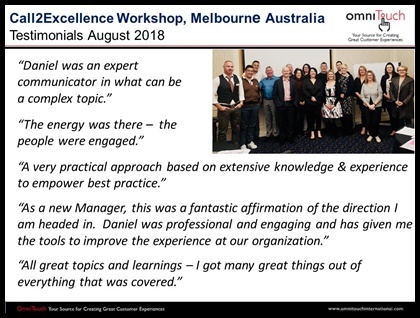 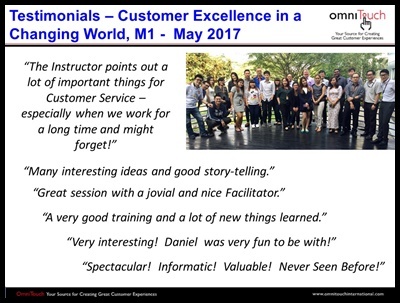 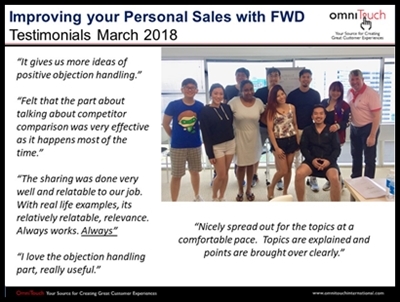 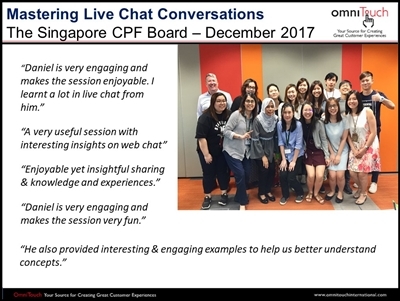 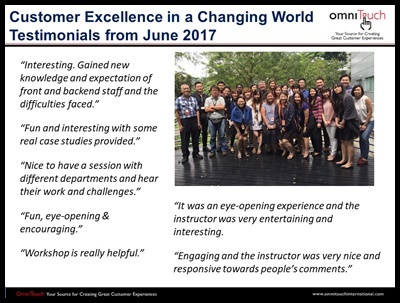 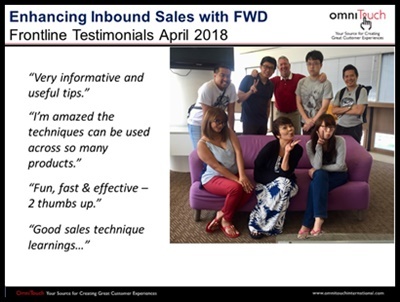 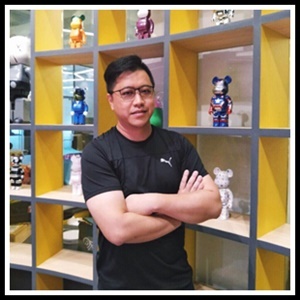 Daniel and his team at Omintouch have since supported us to develop and deliver various training programs for our customers service professionals in Singapore. 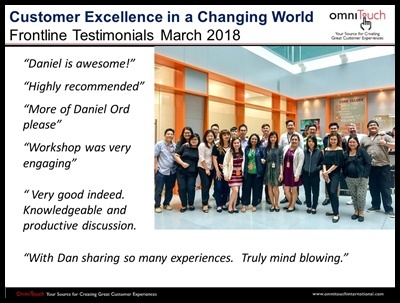 “I’ve known Daniel both as a customer and as a business partner. 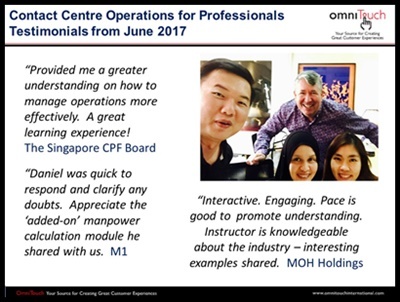 I have worked with him since 2002 where my employer (Maxis Mobile) hired him to conduct CS training for our call centre staff. 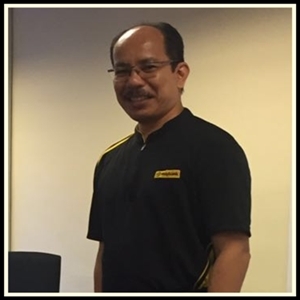 I attended his program and found him to be a passionate, funny trainer who shared practical tips. 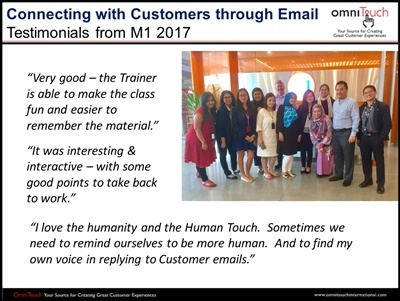 Subsequently, I sent my staff to the training as it had value. 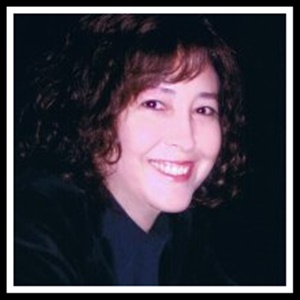 In 2003, our relationship changed to a business one. 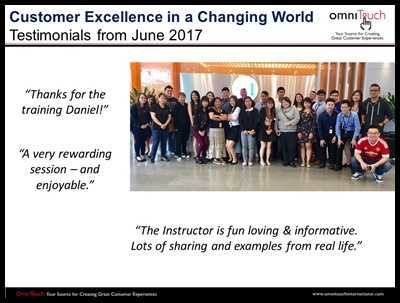 I started a new company called ServiceWinners, Daniel hired us for key OmniTouch projects involved with training bill collectors (our core competency). 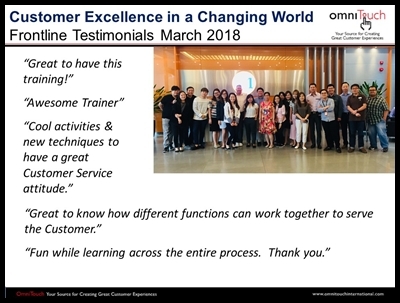 ServiceWinners has trained hundreds of collectors for OT over the years. 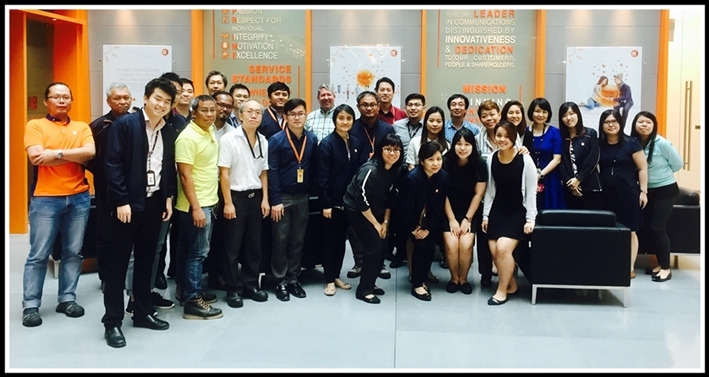 Our partnership started in 2003. 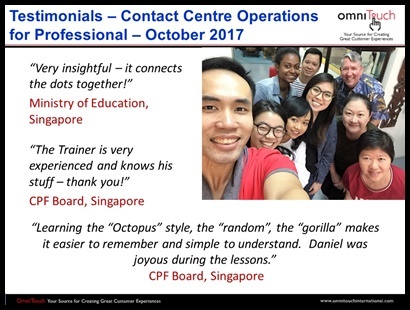 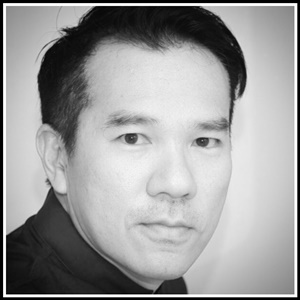 We have worked with Daniel’s operations in Malaysia, Singapore, and Cyprus. 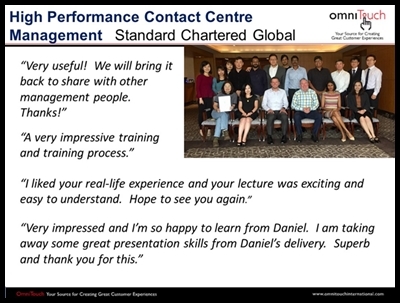 “Daniel & I go way back as colleagues almost 14 years ago. 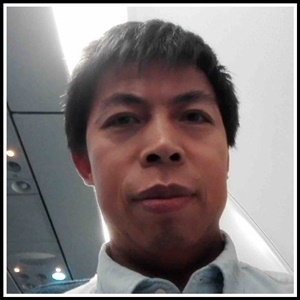 At that time, his professionalism, subject matter expertise and upbeat personality impressed upon me greatly. 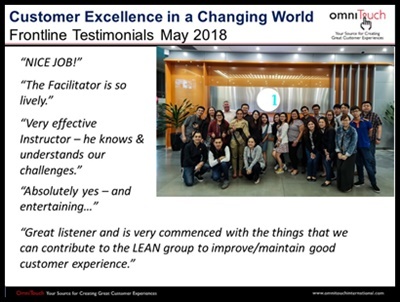 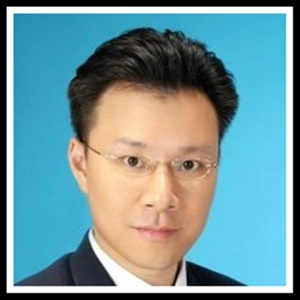 Fast forward to 2007, I was leading the Asia Pacific & Japan + EMEA contact centre for Ariba Inc and consulted with Daniel to help us develop & upgrade the leadership & call centre management skills of my leadership team. 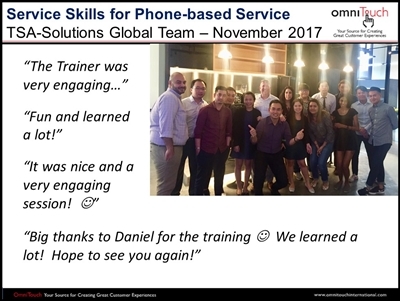 My experience with Daniel’s recommendation on the training solution, actual delivery and working together with us was nothing short of impressive. 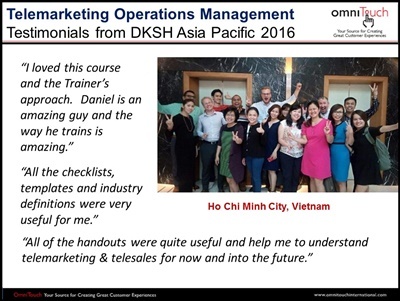 Daniel’s approach came across consistently as a partner (which I appreciate a lot) and he was sincere about wanting to make us successful. 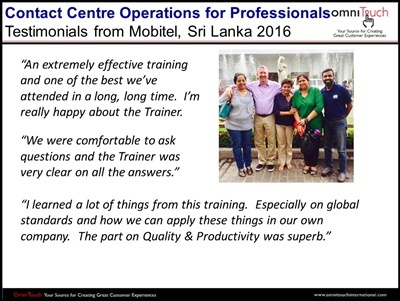 His training sessions were exciting, highly interactive & great fun! 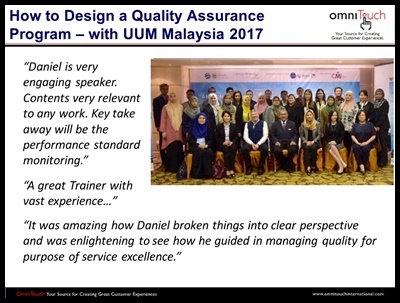 My leadership team and I learnt a lot from Daniel & his team. 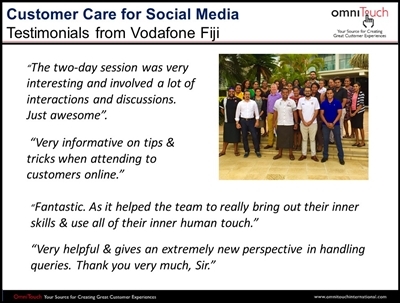 “Vodafone Fiji being South Pacific’s most advanced & leading telecommunications service provider, was leading its way towards the digital transition of most of its services & operations. 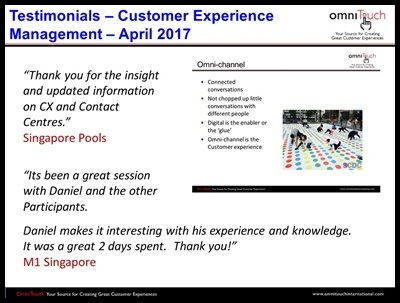 This meant digitizing it’s customer touch points & there by getting our staff up to speed in serving these customers using the new channels. 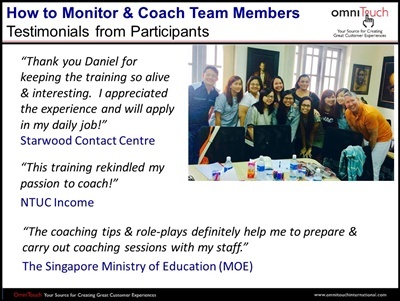 So that’s where we reached out to an expert in this trade to assist us in this journey of coaching our CC staff. 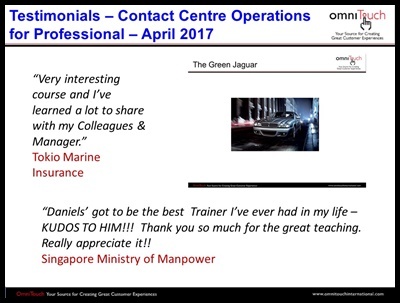 Daniel did a fantastic job & the results were visible during the program itself. 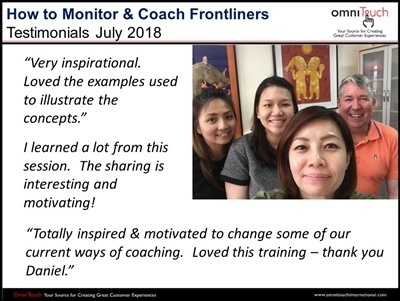 That’s one of the fastest turnarounds I’ve seen from a coaching program.! 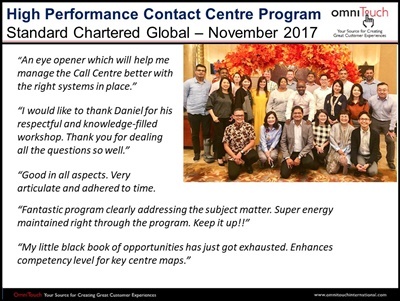 “We hired Daniel and his organisation to support our efforts in the call center space at regional level. 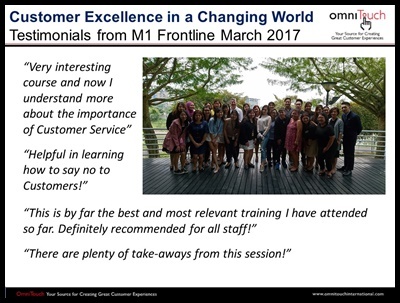 They provided strategic guidance, helped setup the service and service offering model and provided training to all our staff. 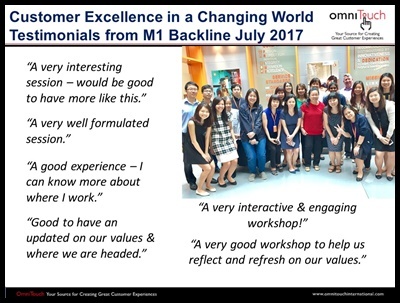 It was all done in a extremely professional way, understanding our own business realities and not applying a predefined solution. 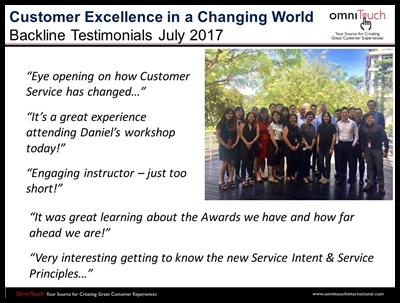 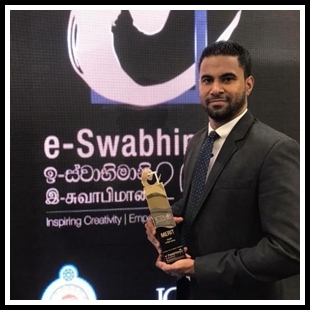 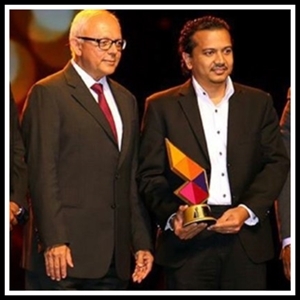 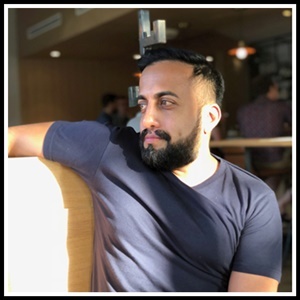 A pleasure to work with Daniel … and with his help we have won already few prizes on Customer experience and more important, business grow is significant as per agreed plan. 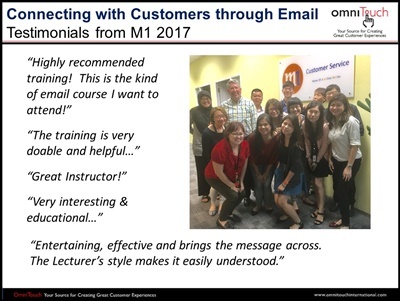 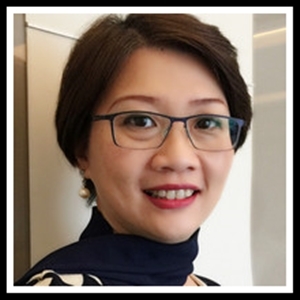 “Dan conducted High Performance Management Training for Maybank Group Customer Care that I found extremely valuable. 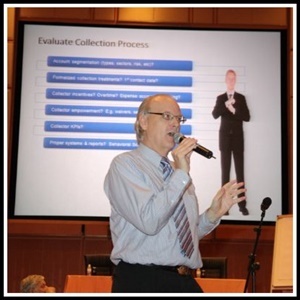 He demonstrated high level of expertise & his presentation was clear and immediately actionable. 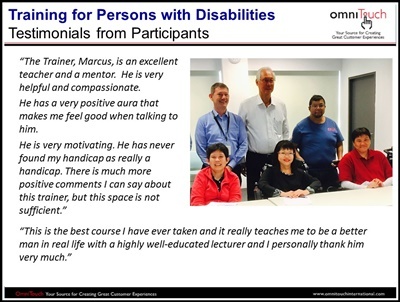 His style owas open & inviting to questions and willing gave his time in responding to question throughly. 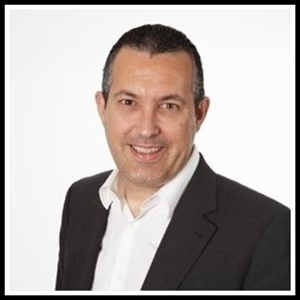 Dan is extremely enthusiastic about his work which is infectious. 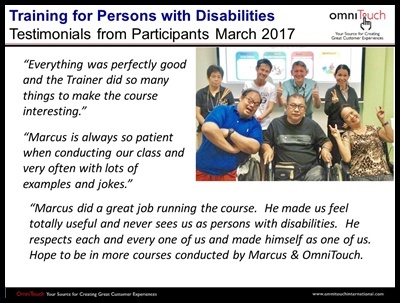 I strongly recommend him for any training he has through his company omniTouch. 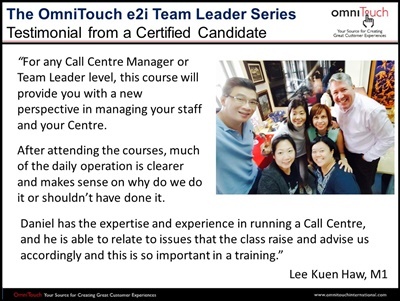 “The course has certainly widened the knowledge of my Team Leaders on managing Call Centre operations. 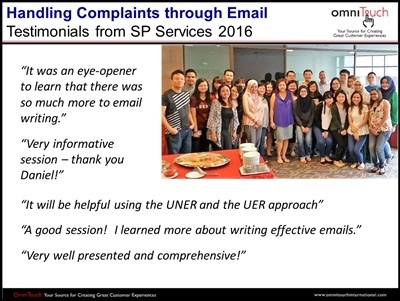 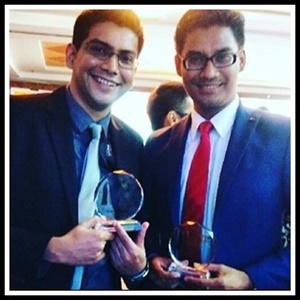 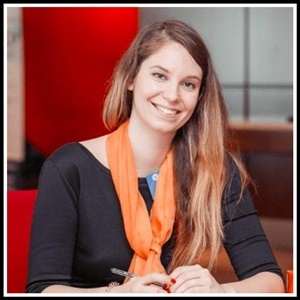 “As part of their career progression, high performing CSOs in Contact Centres ore promoted to Team Leaders. 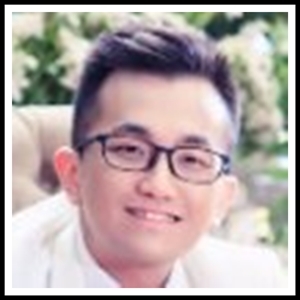 However, the job scope of a Team Leader is significantly different from that of a CSO. 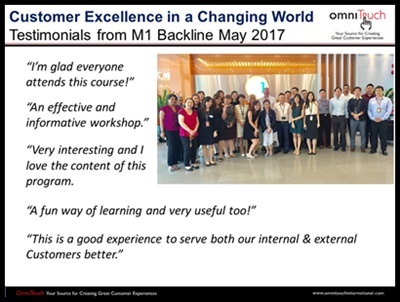 At MI, we decided that newly appointed Team Leaders need help to understand and transition into their new role; and that is where the e2i Team Leader Series fits in perfectly.